Looking for an easy lunch box idea for work or school? 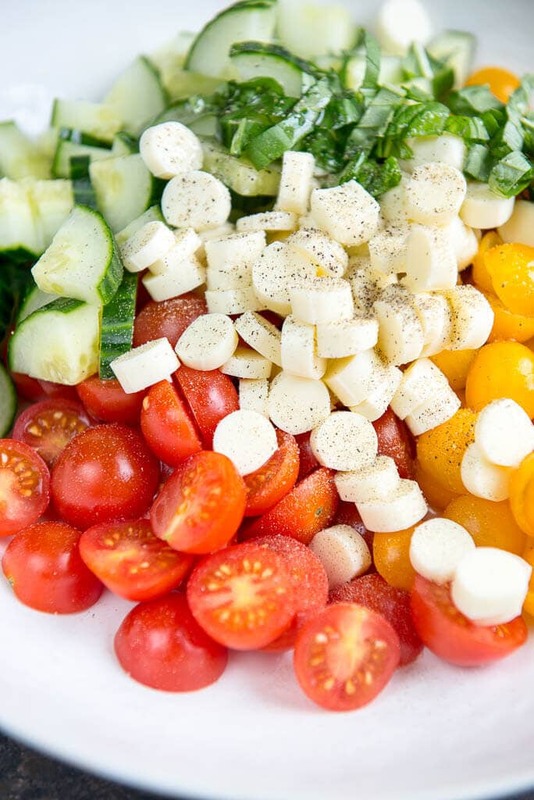 This Cucumber Tomato Salad with Mozzarella is the perfect solution! 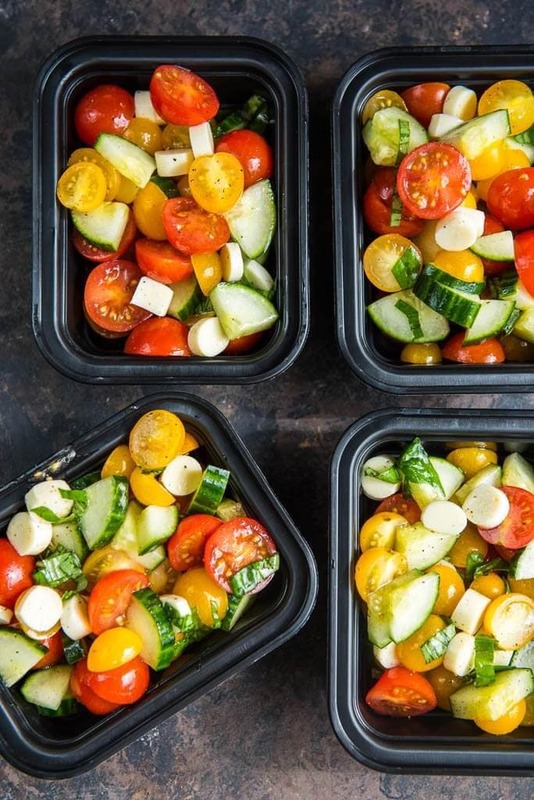 You can even include it in your meal prep plan and eat delicious all week! 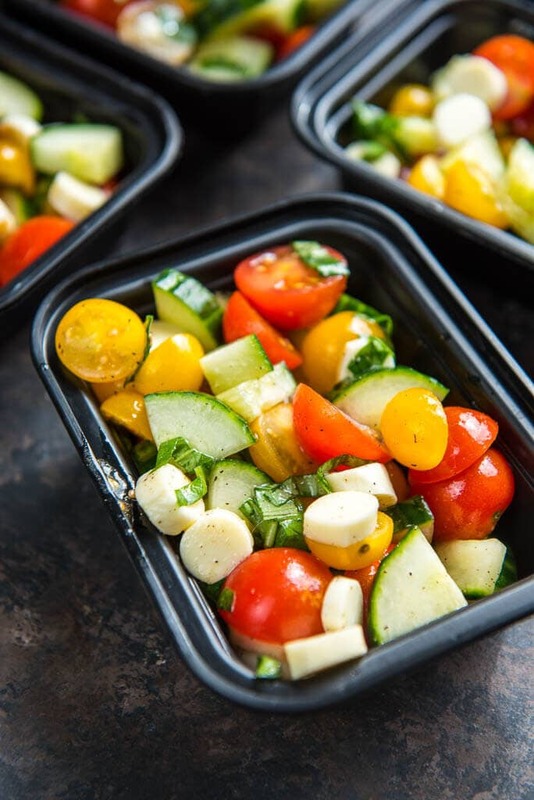 I have been having so much fun lately sharing some of my favorite side dish and salad recipes with you and today I want to share a salad/side that is perfect for taking along in your lunch box and serving up with some leftovers from your slow cooker or even one of your favorite lunch crock food warmer recipes. 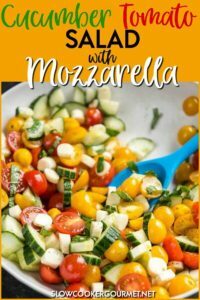 This Cucumber Tomato Salad with Mozzarella is quick, easy and perfect for making ahead and having on hand for busy days! 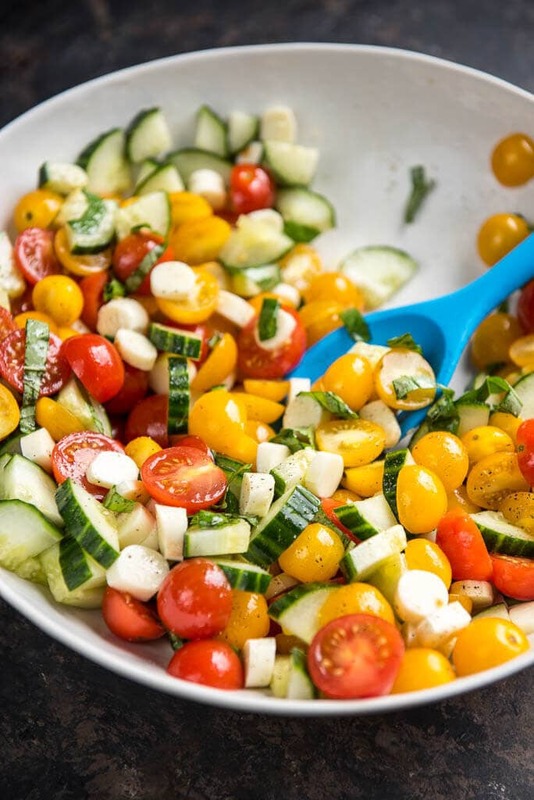 Sweet tomatoes, crispy cool cucumber and creamy Crystal Farms® Wisconsin String Cheese make it simple to have a delicious fresh salad to brighten up your day! 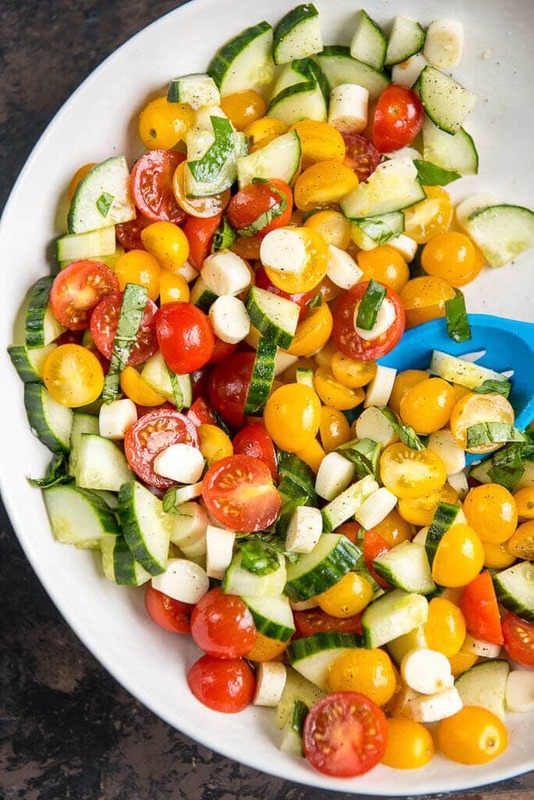 I often make salads like this to go along with our main dish because they are so quick, so simple and so fresh. I also secretly hope that they won’t get totally eaten by my family because I always love the leftovers for lunch. But instead, this time, I decided to just make up a batch for my lunch instead and I have containers ready to go for the week. Perfect for packing up and taking along or even just grabbing from the fridge to munch. 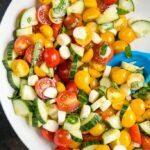 This is perfect for using up all those summer tomatoes and cucumber that everyone seems to be having in bulk from their gardens right now, but even better than that, it’s almost always easy to find these ingredients in season at the grocery store so you can make this anytime of the year! 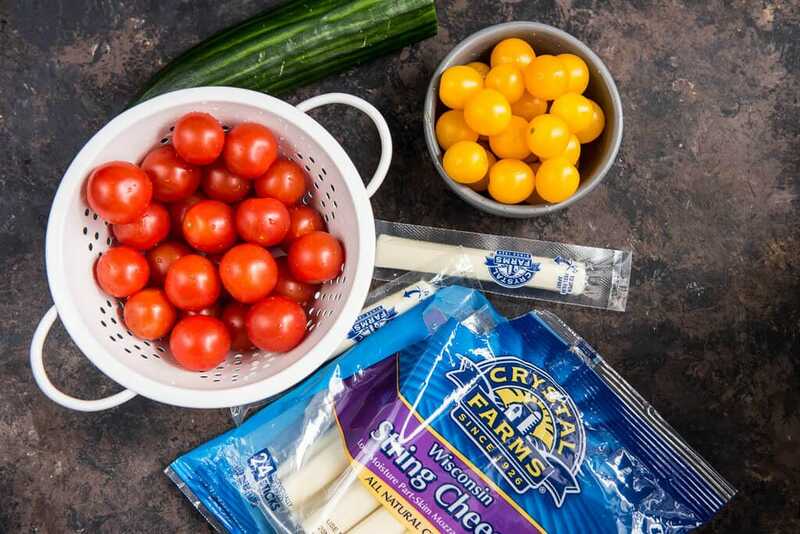 I’ve been working with Crystal Farms® all year to create delicious recipes and I can tell you something, this cheese is seriously always delicious! I love their sharp cheddar and my husband and my daughter down a pack of these cheese sticks pretty much on a weekly basis. In fact, I was lucky there was enough left to make this recipe, they broke into the package as soon as I got home from the store! Based in Wisconsin for the past 25 years, Crystal Farms® is one of the largest cheese brands in the country and they are devoted to bringing us a natural product with few preservatives. So whether you are using their cheese for a recipe, or just for snacking, you can be assured it will be delicious.